There are just a few weeks left to earn the Southwest Companion Pass in the easiest way we’ve ever seen! Note: You will not be eligible for this deal if you’ve earned Southwest bonus points on ANY Southwest personal credit card in the last 24 months. Here are full details on this offer, which ENDS February 11, 2019. The Southwest Companion Pass is one of the most valuable travel perks out there, because it gives you buy-one-get-one-free (BOGO) plane tickets. If you think Southwest only flies within the U.S., think again. Did you know that Southwest Airlines now flies to some incredible, exotic destinations? And sometime in 2019 (we’re hearing March now ;-)), Southwest will offer flights to Hawaii. That’s right. Aloha. Right now, though, here are my picks for the top 5 amazing places that you can visit by flying Southwest and bring your Companion, too! My No. 1 amazing place to fly using the Southwest Companion Pass has to be Cuba. Southwest started flying to Cuba back in 2016, but many Americans still don’t realize that you can fly to Cuba from the United States. When you book a flight to Cuba on Southwest, they will even prompt you to buy your visa and give it to you when you check in! I visited Cuba last summer on Southwest using my Companion Pass to fly my husband FREE. We enjoyed a week learning about the history, culture and politics of this country and talking with the very warm and friendly people. 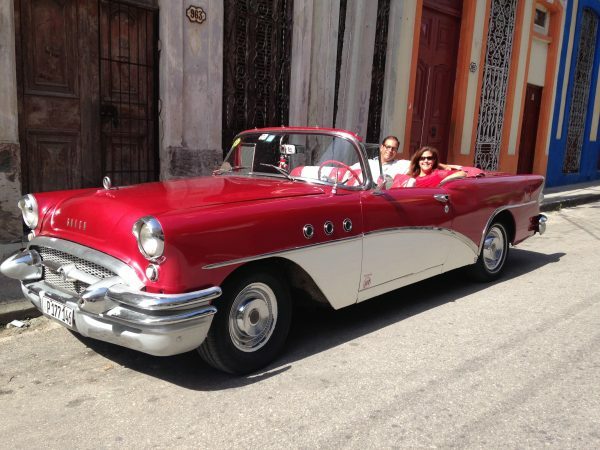 We even got a chance to ride around in a classic car! BONUS: Cuba is cheap for Americans to visit, so if you have 2 for 1 flights, it’s a total no-brainer. Monkeys, sloths, volcanoes, waterfalls, hot springs and beautiful beaches … okay, need I say more? 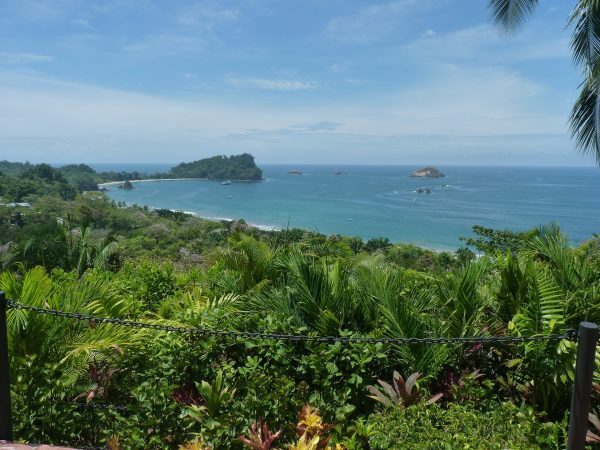 Costa Rica is full of natural wonders with plentiful wildlife, natural parks, rainforest and tons of adventure activities from hiking and zip-lining to surfing and white-water rafting. Southwest flies into both San Jose, one of its major cities inland that is close to a volcano and several national parks, and Liberia, the capital which is further north and closer to the ocean. Everyone says the people are friendly and the country is gorgeous! There are some good deals to Costa Rica from Ft. Lauderdale right now in March and April. This small country on the Caribbean coast of Central America tops the list for diving. Even if you are not scuba certified, the massive Belize Barrier Reef offers tons of opportunities for snorkeling, caving and fishing. The country also features Mayan ruins and lots of wildlife. 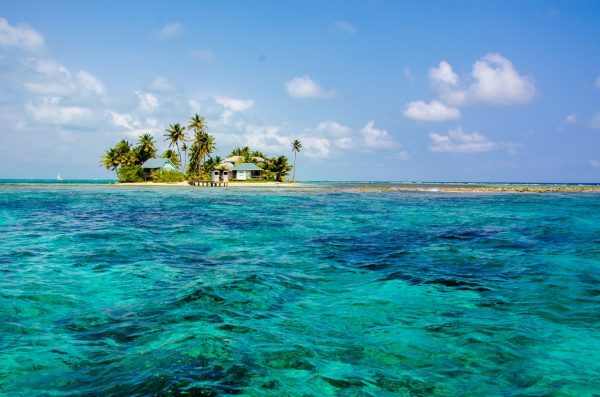 Southwest flies into Belize City and you can usually grab flights as low as $69 from Ft. Lauderdale. I know you are saying, “Really? Buffalo makes the list?” But hear me out. 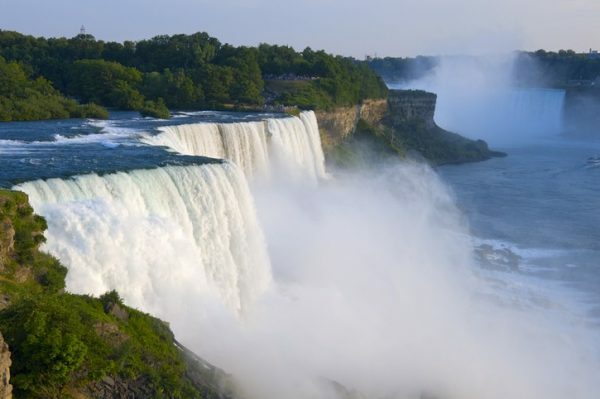 Buffalo is about 20 minutes from Niagara Falls. If you haven’t visited the falls, it should top your bucket list. Plus, Toronto is right across the bridge. The town of Niagara is not much to see, but the falls are amazing. We visited them at night when they were lit up in a rotating display of colors, then we went back during the day to experience their immense power. 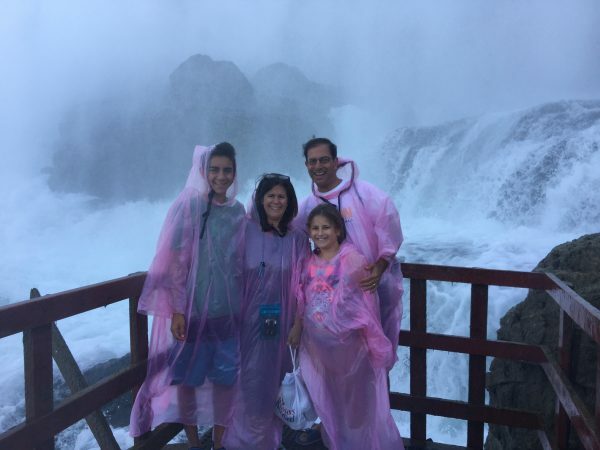 You can also buy a tour where you take an elevator down to the bottom of the falls and feel the spray. Don’t worry, they give you rain boots and a poncho ;-). It’s called America’s Finest City, and it lives up to its name. I call it home! In San Diego, you’ll find beautiful beaches, water activities, museums, parks, restaurants and more. Plus, Disneyland is only one hour away, Disney fans! 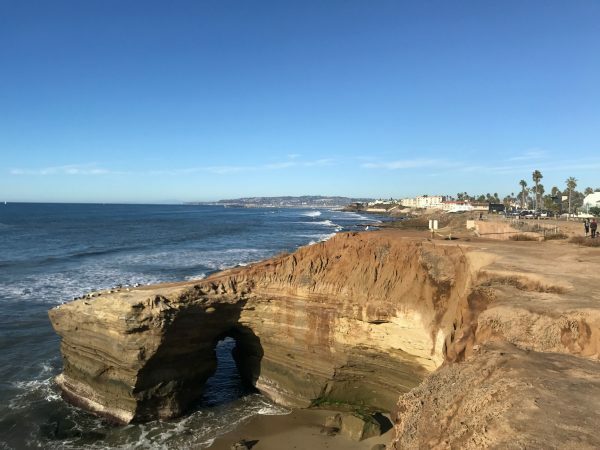 It’s one of Lyn’s favorite destinations, too (here are her tips on What to Do in San Diego). And of course, San Diego has nice weather year around. 70 degrees sound OK? If you can fly to San Diego BOGO, then it should top your list. Though these cities made my top 5, there are so many awesome places you can travel on Southwest Airlines. Whether you are looking for sun, snow, big city, small city, or countryside, Southwest has you covered, and if you can get there 2 for 1, it just makes it that much sweeter. Remember, you have until February 11, 2019, to take advantage of this fab offer to grab a Companion Pass, so you can bring a friend or loved one with you to these exotic destinations FREE!